Anime Limited (aka All The Anime) are a company that have been riding high of late. The distributor has found considerable success in bringing anime to cinemas in the UK, releasing a film almost every month during 2017. This is of course in addition to the success of their home releases. And they've got lots more to bring to anime fans next year, as they have recently announced a great deal of their plans for 2018. 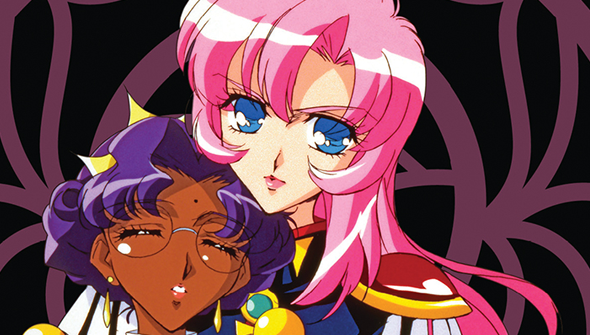 • Anime Limited will bring the classic TV series Revolutionary Girl Utena to the UK for the first time, in a Blu-Ray box set. They are hoping to release it as a collector's edition in the second quarter of 2018. • The Boy's Life series Junjo Romantica will come to Blu-Ray in Q2 2018. • Vampire Hunter D: Bloodlust will be released on Blu-Ray and DVD. The release is projected for the first quarter of 2018. • Following their theatrical showings this year Napping Princess, Genocidal Organ, Sword Art Online: Ordinal Scale, Night Is Short, Walk On Girl and Fairy Tail: Dragon Cry will receive home video releases in 2018. • Anime Limited will soon begin releasing anime soundtracks, in the UK, US, Australia, Europe and Canada. The first confirmed titles are A Silent Voice (on CD and Vinyl) and Trigun and Trigun Badlands Rumble (on a 2-disc vinyl set). • Genius Party and Genius Party Beyond are to get a Limited Collector's Edition release exclusive to the All The Anime online store. • Kyoto Animation's new series Violet Evergarden (coming to Netflix next year) will also be receiving a Collector's Edition release from Anime Limited "in the future".